Since then, Motocaddy has built a strong reputation for consumer research and product development and has led the drive towards Lithium as the most efficient and cost-effective battery option for powered golf trolleys. Motocaddy’s golf trolleys and accessories are available online and through a network of retailers and distributers in over 40 countries worldwide. The site was commissioned in the summer of 2017 and launched in January 2018. 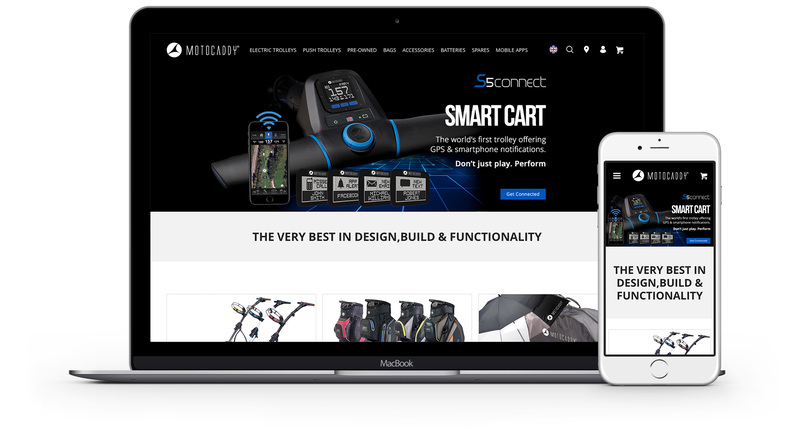 Motocaddy’s motivation behind building the new site was to improve the user experience on mobile, increase conversion rates and grow average order values.